Stingers newcomer Kyle Desmarais calmly made four clutch free throws in the final minute to put away the rival McGill Redmen in an exciting 72-68 victory on Nov. 26 at the Loyola Gym. The beginning of the fourth quarter looked ominous for the home team after the Redmen jumped out to a seven-point lead on a three-point play by 6’8 centre Greg Gause. The Stingers were struggling from the field, but star forward Evens Laroche and Desmarais willed themselves to the line over and over again. They finished with 20 and 13 points, respectively. Desmarais finally put ConU ahead with two free throws off a strong drive, before getting a steal and drawing another foul in the closing seconds. “The team does meditation, so we practise ways of calming yourself down,” said Desmarais on blocking out the moment and finishing a perfect 4-4 down the stretch. The Stingers needed every bit of their peace of mind in this game, as McGill took a five-point lead at the end of the first quarter, on the strength of guard Simon Bibeau’s back-to-back threes. Bibeau finished with 24 points in a losing cause, although he missed a crucial free throw in the final minute that may have given McGill one last gasp. Despite the early lead, the Redmen couldn’t get any distance between themselves and the aggressive, athletic Stingers. A 10-2 run highlighted by a couple threes by Decee Krah got the home team right back in business, and a steal and slam dunk by Desmarais brought members of the near-capacity home crowd to their feet. Krah connected on 5 of 8 from downtown, including a clutch shot with a hand in his face in the final period, and the senior leader finished with 18 points and four assists. The win shows that the Stingers are a much different squad than the one that missed the playoffs last year. A big part of the difference is the man who made the final four free throws. After a season waiting to become eligible to play and practising with the team, Desmarais has stepped right in and become a key player for the Stingers along with veterans Laroche, Krah and James Clark. 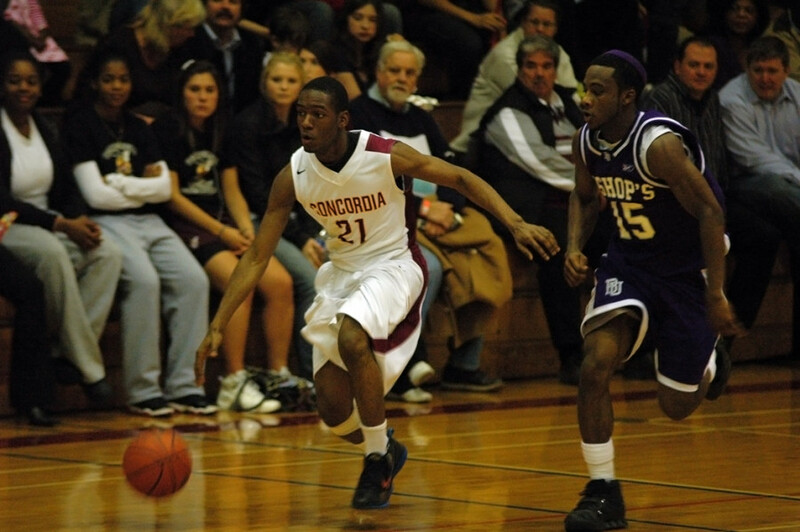 “[Desmarais’] maturity on the court, his experience helps settle us down on the court,” said Dore. Desmarais acknowledged that he has already become comfortable as one of the go-to guys on the team. 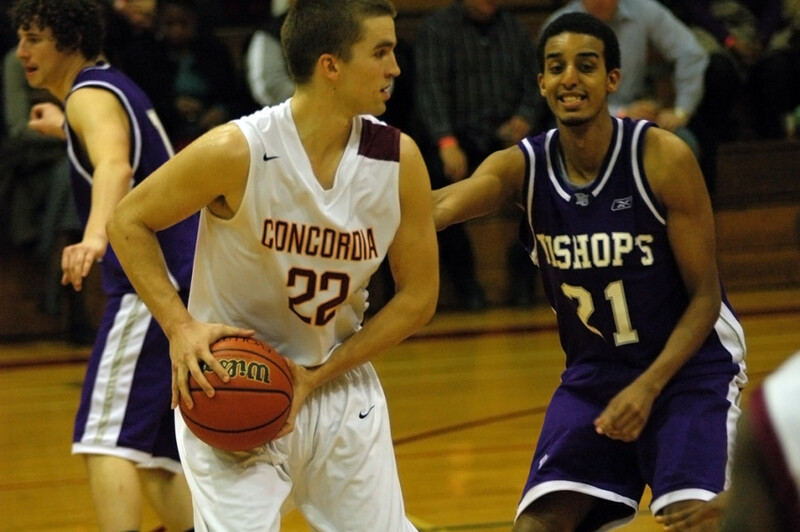 The team has the extra motivation of perhaps not having lived up to the standards expected of Concordia’s storied program, particularly on the heels of the very successful Damian Buckley-era. Before going on a month-long break, the Stingers will play in their last regular-season game this Saturday versus the Laval Rouge et Or at the Loyola Gym. Tip-off is slated for 6:00 p.m.